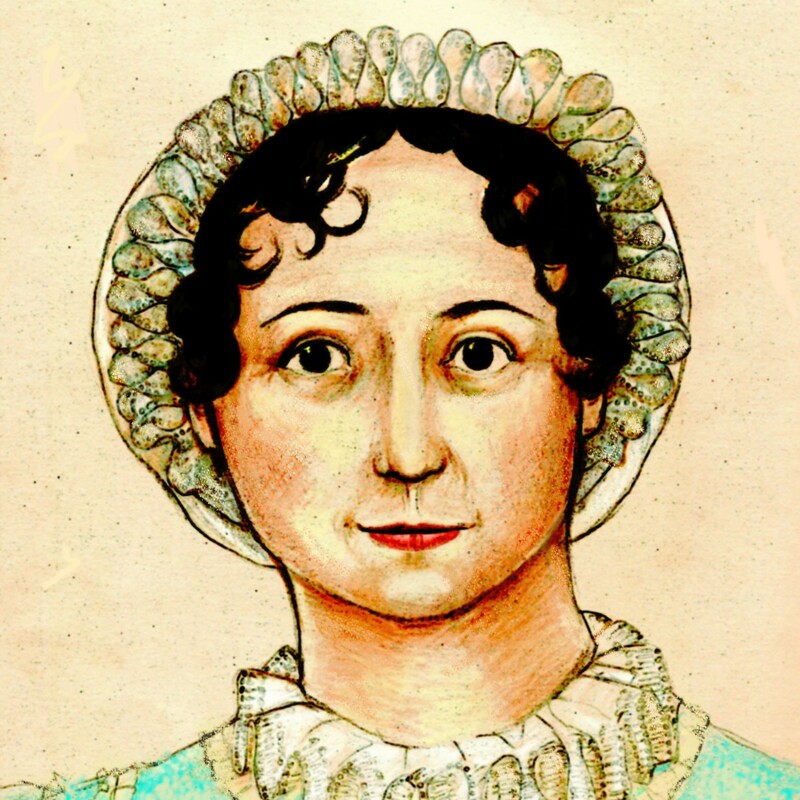 The BBC has a short report about the memorial service for Jane Austen at Winchester Cathedral. Congratulations to El Sitio de Jane, a Spanish-language site run by our friend Carmen, which is celebrating its eighth anniversary! ¡Feliz cumpleaños! Author Orson Scott Card reviews the latest adaptation of Emma. So what else have you found flying around the Internet this week? I must be tired because the first time I read the BBC article, I missed the last words of one of the sentences and thought it said, “The service was attended by some of her descendants and a bible that belonged to her father.” How nice that the bible could attend! I guess it is good to have differences of opinion, if only so there is some variety in life. However, I’m quite inclined to think that Card and I watched completely different versions of both the Paltrow and the Garai Emma adaptations. If Romola’s eye-popping was subtle, I’d hate to see Card’s definition of “over the top.” The Paltrow version is what really got me hooked on Austen and is still one of my favorite Austen adaptations. This is Colin Firth in the film “St. Trinian’s.” Obvious Darcy homage! ¡Felicidades Carmen y Amigos de Jane! Que cumplan muchos más años disfrutando las obras de Jane. ¡Gracias Baja Janeite! We’re very happy to celebrate this new birthday! I think Card went too far in his praise of the new Emma and in his condemnation of the old, but he does make some good points. I agree with him that Emma can be a hard character to really get into: “How in the world do you make a good film out of a story in which the leading character is so amazingly and consistently stupid?” That’s pretty harsh, but who hasn’t wanted to throttle Emma a time or two? I personally feel like the new version does a nice job of giving us Emma’s motivations. As Card says, “The key is to understand that she is not stupid at all, merely young . . . and her life is spent flailing about for something — anything — to occupy her attention and give her purpose.” And that’s exactly what I (and a friend of mine who is an Emma enthusiast) got out of the new film: after her governess marries, she really has no friends anymore–at least not in the way Miss Taylor was her friend. Of course she’s going to cling to Harriet, who’s her age, so of course she’s going to convince herself that Harriet is her social equal. It gives us a reason for Emma to act the way she does, and, for me, makes her easier to stomach in that particular version of the film. That said, I don’t actually remember if Emma is portrayed that way in the book. It’s been a long time since I read it and I don’t think I finished it at that time. So take my opinion or leave it. Yes, I wonder at the review. Extreme on both sides. I love Emma (the novel) as well as Emma the character. Both my favourite in all literaturedom. -Gwenyth Paltrow did a very good job of it. -The latest Emma adaptation has grown on me though I still think Grai was not really that good. I had great problems with her expressions. -Kate Beckinsale – less said the better. -Clueless. Well, I couldn’t relate to it so I have no opinion there. Perhaps it was too American? I couldn’t understand all that ‘marks’ business. Anyway, the fashionable and clothes loving character was not the Emma of my imagination. It was more ‘Harriet’.